Tonight, Christopher LeMark and co-producer Jeffrey Wamboldt hosted a free concert which took place at the Boys & Girls Club, located at 1330 – 52nd Street. It was called the “Yellow Concert,” because there were yellow smiley faces posted on the walls and yellow balloon bouquets placed around the Madrigrano Stage for the Performing Arts. Most of the performers were also dressed in yellow shirts. The intent of the concert was to make people smile and know that they are children of God. At tonight’s safety meeting which was held at the Boys & Girls Club, 1330 – 52nd Street, two alderpersons hosted. Chris Schwartz, alderperson for the 2nd district, and Patrick Juliana, alderperson for the 7th district, were the two organizers for the meeting. Police Chief John Morrissey was also in attendance, as well as Captain Edo Maccari, 2nd shift commander, Ron Francis, one of the crime prevention officers, and gang officer, Leo Viola. About twenty citizens were in attendance. Doors open at 6 pm, and the two-hour show starts at 7 pm. This is a free concert for the entire community of Kenosha, highlighting the talent in Kenosha. This concert will be like a huge high school pep rally with all the trimmings of joy for the town of Kenosha. Just imagine taking a huge, incredible, yellow, happy face and placing it in a community, and let’s see what happens! For more information, see: https://twitter.com/YELLOWCONCERT. 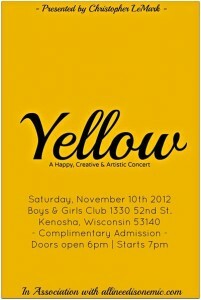 Check the link here: http://yellowconcert.eventbrite.com/ http://iamchristopherlemark.com/. On Thursday, October 25th, Alderperson of the 2nd district, Chris Schwartz, will host a public safety meeting at the Boys & Girls Club, located at 1330 – 52nd Street, in Kenosha. It will start at 6:30 pm. The meeting will target Frank Elementary School and the Columbus Park area, but all are welcome. The focus will be on neighborhood safety and non-owner-occupied properties. 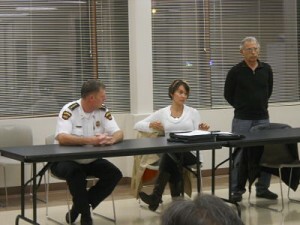 However, residents are encouraged to speak on any issue, concern, or idea. The Kenosha Crime Prevention officers and a Kenosha Police Department representative will address issues and concerns. 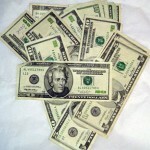 Urban League of Racine and Kenosha, Inc. – Reducing employment barriers: $1,600. Urban League of Racine and Kenosha, Inc. – Sickle cell awareness, education and testing: $1,000. The “National Night Out” event was held at the Boys & Girls Club this evening. 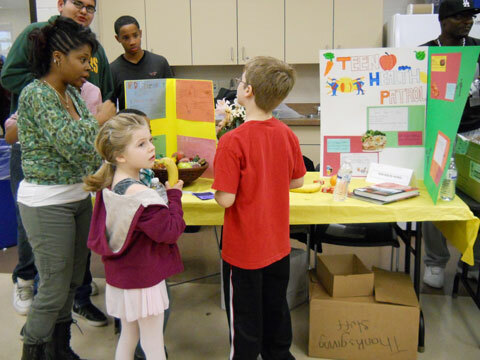 Activities ran from 5:00 p.m. to 8:00 p.m. Free food, games, and prizes were offered. Information from the following community resources were available: the Kenosha County Division of Health, the Boys & Girls Club, the Urban League, Women and Children’s Horizons, Kenosha Human Development Services, and others. 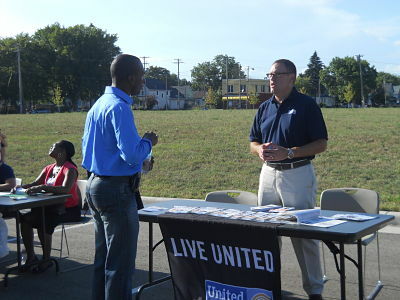 Dayvin Hallmon and Steve Fredriksson at the United Way table. The annual “National Night Out” event will take place tomorrow night, Tuesday, August 7th, at the Boys & Girls Club of Kenosha, located at 1330 – 52nd Street, from 5:00 pm to 8:00 pm. This event is used by the Kenosha County Division of Children and Family Services Gang Prevention Department to educate families about gang and crime prevention, and other important topics. The event offers free food, games, prizes, and goodie bags for children. Featured entertainment includes The Big Balloon Tycoon, Ventriloquism on the Move with Mike and Woody, the Kenosha Academy of Dance, and a Tae Kwon Do demonstration. At 4:48 p.m., Kenosha Fire Department is responding with a medical unit to the Boys & Girls Club on 52nd Street for an injury. Kenosha got its first look at a dream almost 20 years in the making with an open house and ribbon cutting at the new Boys & Girls Club facility at 1330 52nd St.
With a couple hours yet to go in the event, Walter Graffen, club chief executive officer, said 1,500 people had come out to see the new club. The facility includes a large gym, a dedicated indoor soccer field, and a host of rooms that can be used for everything from just hanging out to performing arts. The facility also will house space for a number of local organizations who serve children including the Kenosha Police Department, The Spanish Center, The Kenosha Unified School District, and the Kenosha Community Health Center. The building was funded by a capital campaign that has raised over $10 million so far, with a completion goal of $13.8 million. The city of Kenosha donated $5 million, and $1 million donations were made by Natalie and Dennis Troha and Joseph and Shirley Madigrano. 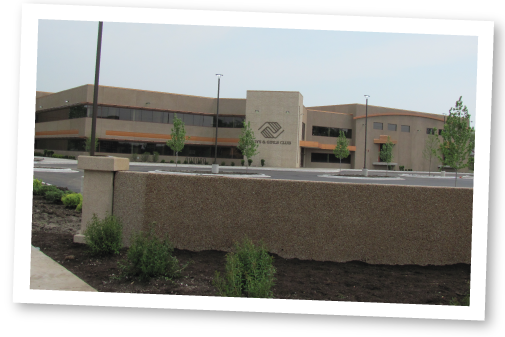 If you’ve been wanting to get a look at the news Boys & Girls Club facility on 52nd Street, tomorrow will be your chance. 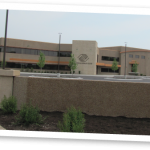 A ribbon cutting and open house will be held at the facility on Tuesday, June 21. The open house will be from noon to 7 p.m. A program will start at 5 p.m. with a ribbon cutting at 6 p.m. The festivities are open to all, and there is no cost.